This post has also been published on Huffington Post India. As a content writer and the owner of two blogs, my inbox daily has a number of mails soliciting work like reviews, blogs, articles and guest posts. Most of these mails are really well drafted, praising me and my blog/work. I like praises, so I enjoy reading them. 🙂 These mails then gradually go on to the task of asking me to write for their product/service/website/event. The only jarring note, in many of them, is that they want me to write for free. I would have laughed hysterically if this wasn’t my bread and butter. Conversations with other bloggers and writers have shown that this is a Universal malaise of sorts. While initially I did write for free for a few people and websites, blame that on me being a rookie and not being any wiser. Yes, my personal blog is public. You get to read what I write for free. But I put in a lot of effort and emotions, not to mention time and energy in my posts. I still continue to write for causes that strike a chord, for free. But I will not do it for you just because you say some flattering words to me. While I wish you good luck with your new venture, I am sorry but I am not a partner in your startup. I do understand that you work under cash constraints. I co-own a startup. But the only way you will grow is by appreciating the talent of your colleagues, co-workers and partners. Only monkeys work for peanuts! And if you think that I have the talent to do something that will benefit your company, then surely that skill does not come for free. So please, do us both a favor. Ask me to work for you only if you can afford me. Thank you so much! I do appreciate your generosity and this philanthropic gesture. Perhaps, you did not realize that my work in the past was the reason why you approached me in the first place. I would love to write for your website after you show me that you respect my writing skills enough. Thank you, but I prefer cash. In addition, while we are discussing this topic, I wanted your views on whether you’d like your next salary in the form of vouchers. Let me just begin by saying that I have an MBA in Marketing and experience in Brand Management. Surprisingly, I never did expect any of my partners, advertisers or vendors to work for free for the brands I managed. I would love to get exposure by collaborating with your brand. But, how can you ever ask experienced writers to work for free? You are not only doing a disservice to the brand you represent but are also insulting my talents and me. Yes, I believe you especially since you didn’t even address me by name. I know about mailers but please use my name before your wax eloquent about my blog. Shall we play 20 questions so that you can get my name correct? All I ask for is one/two links to my website. 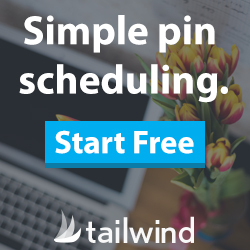 Yes, I get it that you are looking to do a Guest Post. 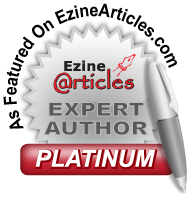 What I don’t understand is why you can’t read the relevant tab on my blog page where I categorically write that unsolicited guest posts are not welcome on this blog. Really, please do your homework first! That’s just great for you, and I suggest that you hold on to them! I don’t know their compulsions in selling themselves short. However, I value my work and my talent. Also, I don’t write for free professionally, EVER! To summarize, I would say to all the beautiful mails in my inbox folder, it is rude, patronizing and unprofessional to ask someone to work for free. Grow some conscience and ethics. I don’t work pro bono unless I want to. Moreover, yes, like you I have bills to pay too. 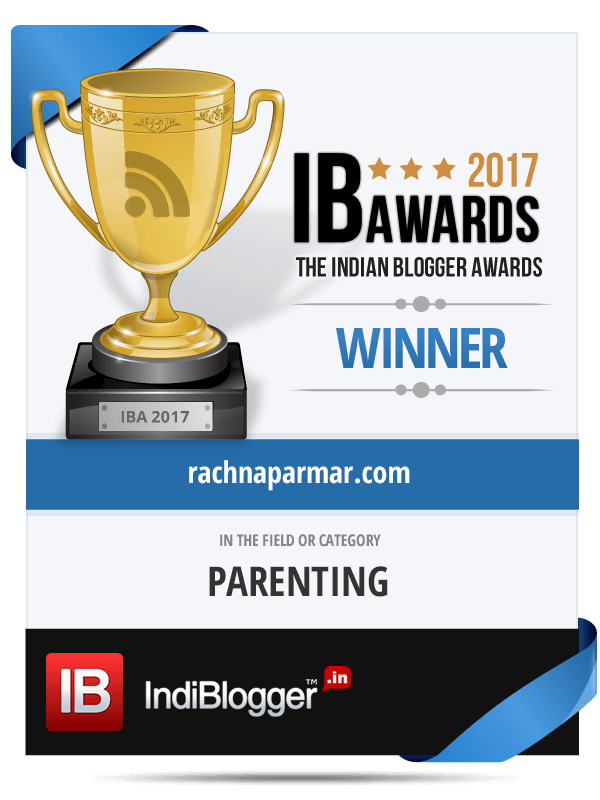 Hey, well written, Rachna …. no one should be asked to render services for free. It is an insult, tbh.. telling someone their work is not worth paying for. Good post. I agree, Ash. It infuriates me at times. I do reply to all though. Bang on.. Hilarious , slap stick and on the top apt for us all bloggers ..
Hehe Yes compliments about the family :-). Good to know you connected with the post. Exactly, Naba. We all have done it in the beginning. Seriously, it is annoying the number of such mails I receive. There are no free lunches, as they say in corporate world:) Nothing in this world comes for free, except, sunshine , rain, clouds and a few more nature’s bounties! Hehe It takes all kinds to make the world. Nancy@thethinkinhat recently posted…5 truths about Motherhood no one would admit! Hehe Thanks, Nancy! Glad you liked the post. Welcome to my space. I remember this joke – there was this doctor who approached a lawyer at a party and complained to him that people keep approaching him at parties for free advice – how he should manage. The lawyer advised him to send them all a bill the next day. The doctor thanked him for the advice – the next day morning he received a bill from the lawyer. Yes, I’ve read this one too. Good to see you here after so long. Yes, there are really no free lunches. We have bills to pay too. Vouchers won’t do! Coming to think of it, I have actually written for free for so many brands, while taking part in their Blogging contests, and not having won even a consolation prize! That is why I hardly ever write for contests unless the topic really excites me. All of us should stop being taken for a ride. Glad you liked it, Anita. Thank You for writing that for most of us. Can I copy paste this post on my blog? For free, of course!!!! 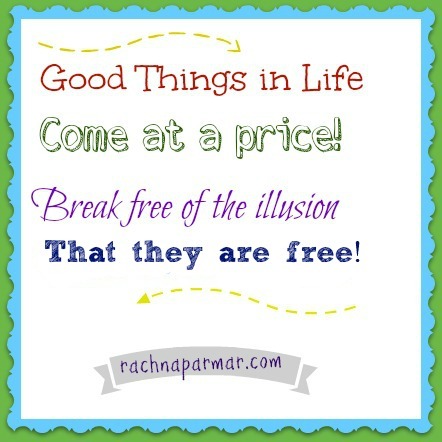 Rachna recently posted…Why I will NOT write for free! Ah well,the lengths to which people will go to save their pennies and try to con others.Certainly they deserve a flat no. Yes, a firm No is what I say these days. It really is sad though. So well put. I echo every single sentiment you’ve put in here. As a travel blogger and freelance copywriter, I’ve faced every single situation that you’ve enumerated here. And like I always say, never do for free, that for which you charge good money. (unless it’s for an NGO, even then I’m quite selective) I’d rather twiddle my thumbs than work for free! Thank you Revati Vector and welcome to my blog. I guess we are all riding in the same boat. Yes, I would rather not do anything than work free of cost. You spoke for all of us. hehehe Not only popular, Latha, but writing is my profession. 🙂 Yes, I plan to make it a sticky post. You have explained it very well. apt really. Why work for free? A Much needed article.. I get 7-10 free content request every week. Recently I was asked by a so called startup to write for free as they could not afford a content writer. I was fine with the same but asked for stock options 🙂 yet to hear from them!! Thanks, Ankita. Yes, the quote is very apt. Thanks so much, Maniparna! Yes, this problem affects so many of us. I am glad you connected with the post. Harman, so nice to see you here after so long. While I do agree with your point wholeheartedly, you know it is not only Indian clients that do so. That said I have worked with some truly wonderful Indian and international clients. This was only aimed at the others who really don’t think before they shoot that mail across. Seriously Rachna, this post was great. I very recently started getting emails about reviews and I found it really hard to say no to Mommy entrepeneurs who start thee own buisnesses. I am working hard on my blog, and it would be awesome to get paid; but it is still not worked out for me. Well time and patience, I hope! Thanks so much, Veens. Long time! Hope you have been well. I am sure paid opportunities are just around the corner. I also go all out for blogger friends but I put my foot down for rank strangers. Thanks a lot, Alok. Exactly my views too. It is so easy to be taken in by such offers. Afterall who wouldn’t like more ‘exposure’? And the lure of free goodies, and free books you get can be good carrots for a while. Atleast till you realize just how many hours go into each painstaking article you write. Oh yes, free books. That is a great point I forgot to mention. Book reviews take so much time and now I don’t commit to any. If some book appeals to me, I may review it on my hour. There is so much effort and research that goes into each article that I do that not charging for it feels sacrilegious. Thanks for reading and sharing your views, Richa. Hilarious and apt. I, though, have (thankfully) not attracted the attention of people who think that I am (just) good enough to write for them for free 🙂 The only write requests I have ever had are from friends in the blogging world, who have sought guest posts and popularized my blog in the process. Contests, of course, I have done in my first active year as a blogger – with eyes wide open and for readership rather than the so-called prizes – and, so, no regrets there. Now I have stopped totally. A fantastic reply! While beginners may “have to” work for free in order to gain experience and eyeballs, it’s just outright rude to expect professionals to work for you for free (or near-free). I remember a Facebook rant by a travel blogger who received a generic email in her inbox…. addressed to some OTHER travel blogger! Haha, well. Very true, YoS. All of us have done some free work when we were starting out. We needed to build traffic like you said. But it is really awfully rude to expect an established blogger/writer to work for free. Yes, I have got one of those addressed to someone else mails as well. 🙂 Really such bad copy paste job. Welcome here, YoS. Glad to hear your views. Strangely those who write these mails don’t seem to understand this. A practical way to look at writing. It’s true that if we don’t value our work, no one will. Though, I write as a ‘free’ lancer because of the brand. But, for others when I charge, they run away. So, I avoid them. I guess those who run away were not worth investing time in, anyway. Thanks for sharing your views, Vishal. Next time I am approached by someone like this, I will mail them your post link and I was really serious about it. 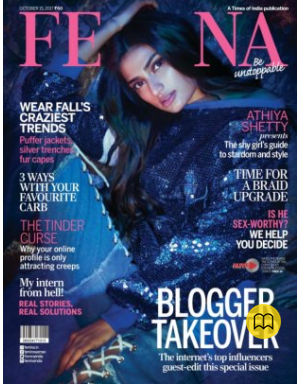 One agency in India asked – should they remove me from their bloggers list? 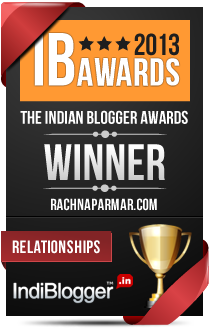 I was not ready to work for INR 500 and that was my blog’s worth according to their analysis. I said, please do so. Haw! Imagine! Good for you that you told them so. Glad you liked the post, Saru. Now I know that you dont do everything for free. But can you help me to become a professional writer? I am asking this bcoz I don’t know any professional writer and from you I just want a way to become one. Vikram, thanks for reading. I guess you have to first develop a portfolio of your written work like articles etc. Publish them online on reputed sites. And then reach out to clients through job and freelance sites. Okay……..thanks a lot. First I’ll search for some more reputed sites, then I’ll do the later part. Once again thanks. And I am having having AdSense on my blog, but that don’t make any sense because people really don’t click on any ads. Glad you liked it, Shilpa. Happy to get it off my chest. hmm writing is my hobby from my school days and i don’t have a blog coz i feel i can’t reach so many people or i can’t write on so many topics. i choose blogs in random and if i really like and if i can write a whole-hearted comment,i will write.otherwise i can never write a comment.since its a pass time,i write for a reason that this world will be better with ideologies without identities.if writing is your profession and if your livelihood is attached to it,one cannot write for free unless its for greater good.like if am a doctor,i can treat patients by charging fee and i can treat poor too if the situation demands.one’s profession must be influenced by morals. i never wrote for a price coz i can never sell my wisdom for a price coz its immoral. Yes, it is a free country. Do what works for you. Thanks for reading! That’s very aptly put Rachna ! There are no free lunches and its high time we put our foot down on people who think nothing of asking you to write for free. The only times I make an exception is when I already have it up on my blog and just need to repost it somewhere else which has a suitable audience Or when I truly feel for the cause and volunteer it on my own. I agree, Asha. I guess we all do it for people and causes close to us. But we need to be firm with the others. Oh yes. It is such an issue. I think, in general, people have this perception about creative work like writing or photography. I agree, Jas. It is very sad, though. I have never written for free for a brand, nor will I ever do that. I wrote about a few only after I received products to give as giveaway. Give and take policy I believe. You are one after my heart, Red. I guess we have to treasure our own talent by refusing to do free work. Even I get these mails and really It’s awful for me to even ask something from a person for free even after knowing his/her work! I agree with you fully! Saurabh Chawla recently posted…Dream Love….. Thanks, Saurabh. Glad you feel similarly. http://revolva.net/2014/11/13/an-open-letter-to-oprah/ then someone shared this post of yours on the same thread. And so I came here. Every word you wrote resounded with me. But I don’t have to tell you that. Thank you, Dags. Just pretty angry that we are often taken for granted. Thanks a lot, Elly. 🙂 It can get annoying at times.